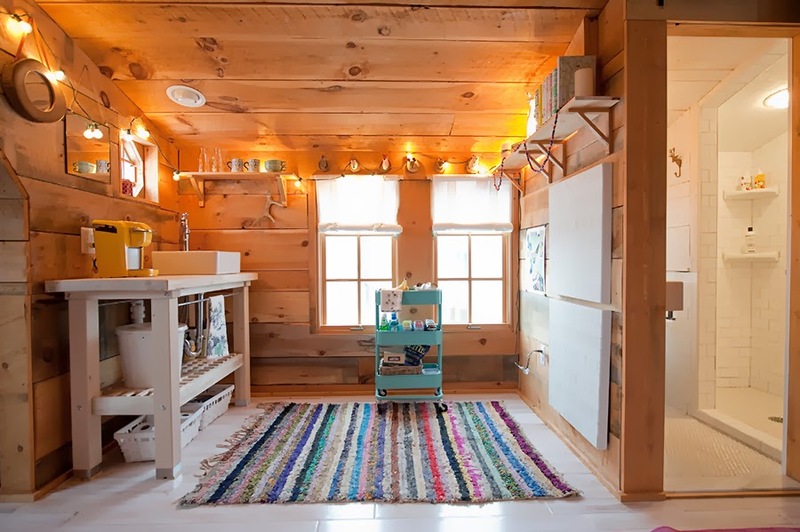 Sarah will be sharing a few of her projects and rooms with us this year, but the first space she wanted to share is her home’s carriage house/guest space. 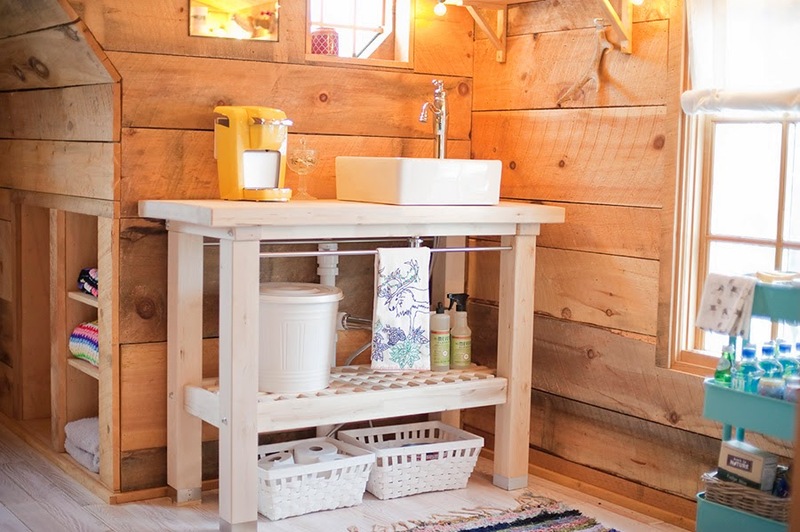 Sarah describes this space as her favorite house project yet. 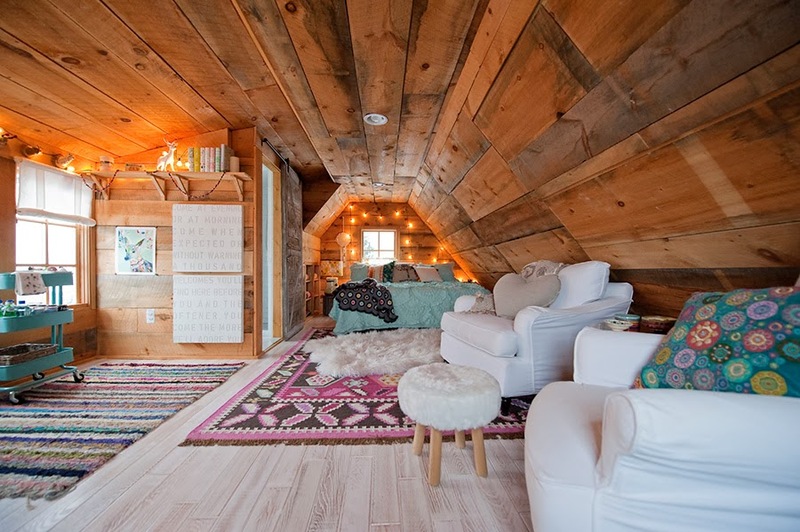 This is a room above their family’s carriage house that was completely unfinished. 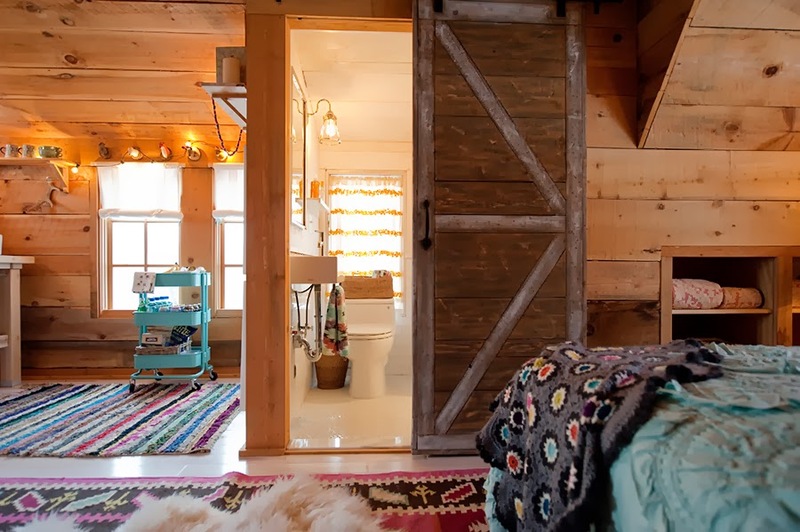 Sarah felt passionately about making this into a guest retreat and she and her husband finally started the project this past summer. 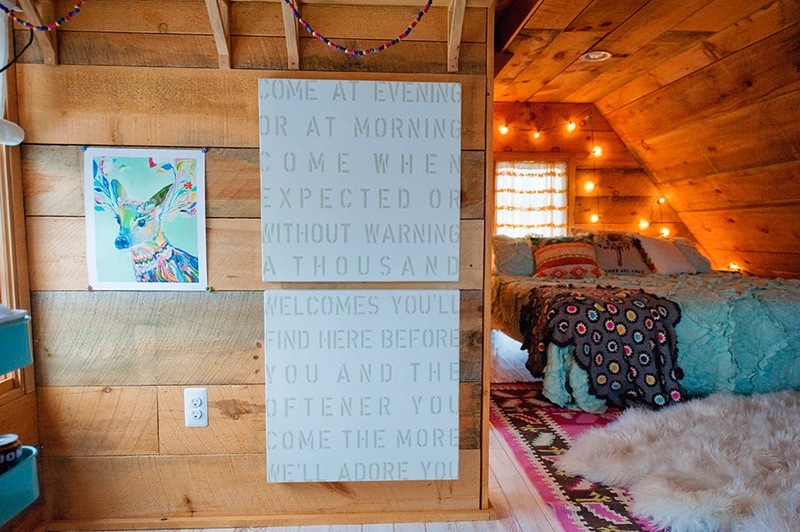 The Schneider family has loved using the space as a little retreat for themselves, too… not just for guests. I love this little kitchenette area. Sarah purchased the island from Ikea, then she had her plumber (an uncle… gotta love that) install the vessel sink and faucet on top. It was an inexpensive project that turned out just perfect. 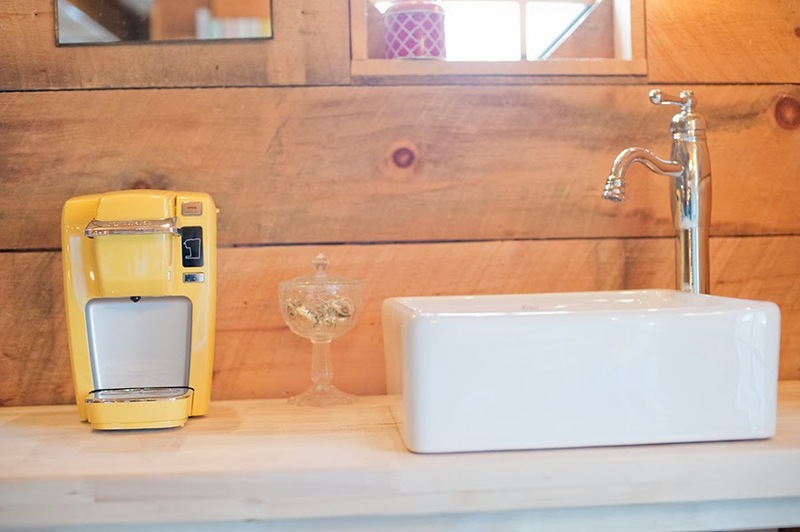 The little yellow one cup Keurig is the perfect size for this space. I love Sarah’s attention to detail. 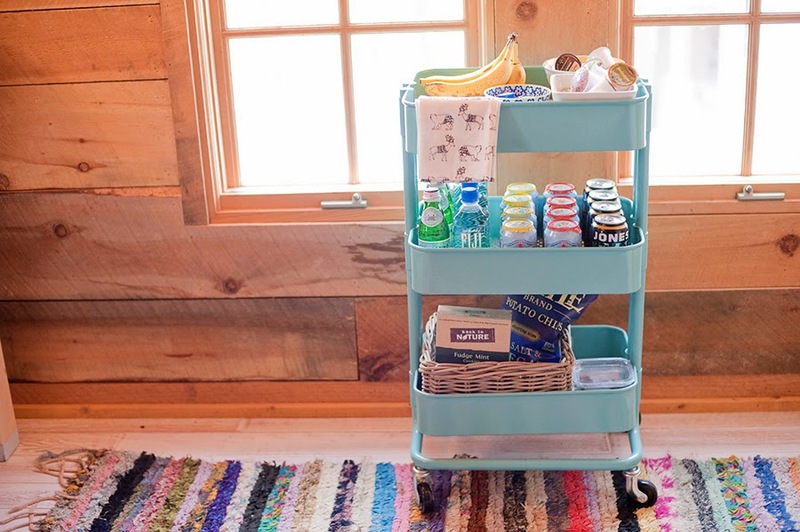 To make guests always feel at home… especially in their own space away from the main house, Sarah got this cute cart from Ikea and loaded it up with snacks and drinks. So thoughtful! 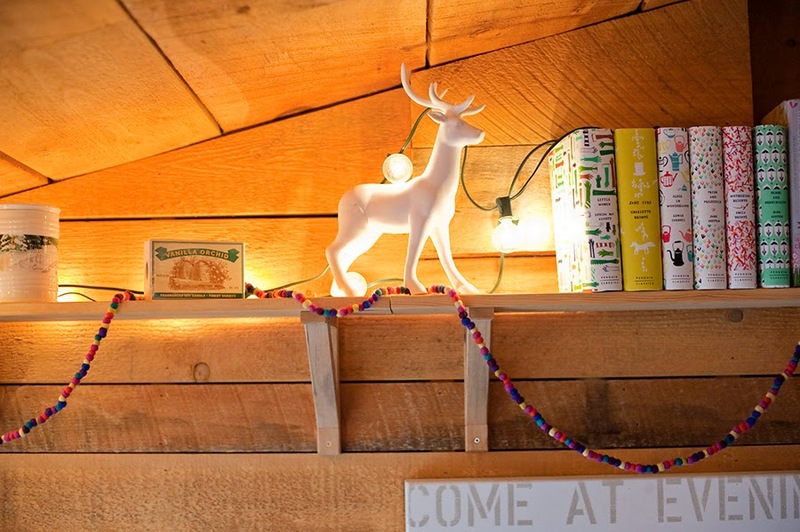 The books, candles and garland were all found at Anthropologie. 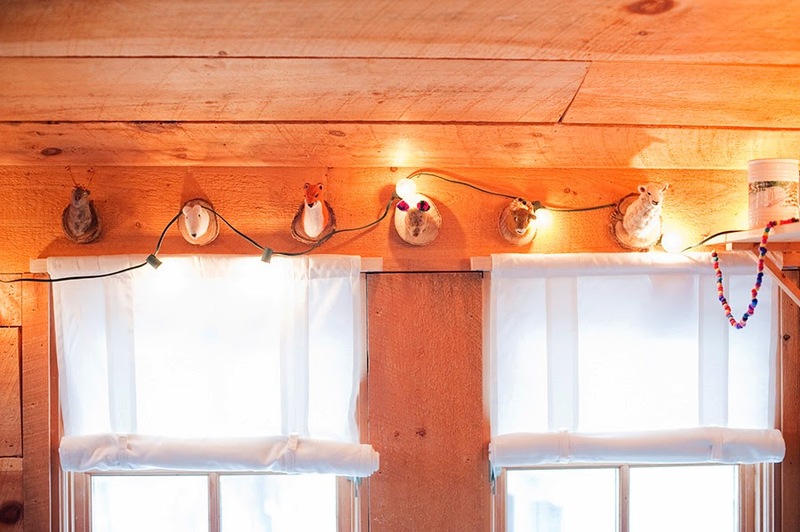 The little animals came from Anthropologie around Christmas time. All of the gorgeous wooden art is from one of my personal favorites and one of Sarah’s favorites, too, the fabulous Sugar Boo Designs. 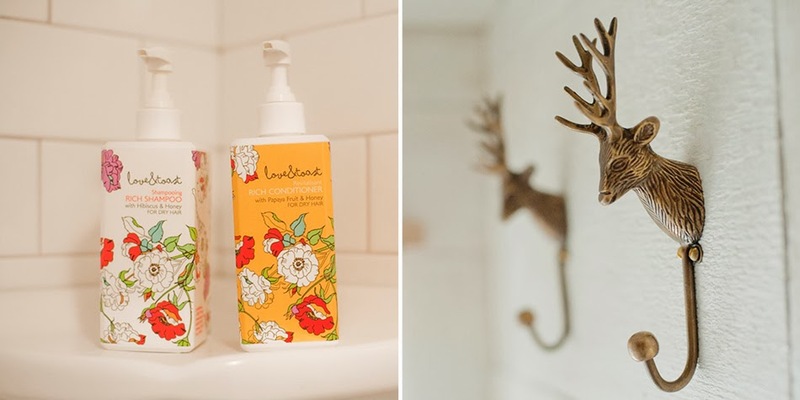 And the sweet deer print is also from Anthropologie. 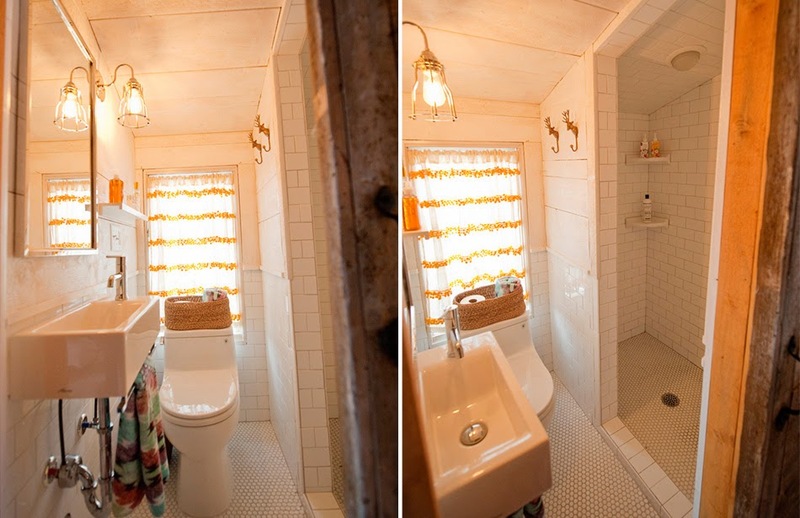 Sarah put in a small bathroom and had a fun time finding the smallest toilet and sink possible! More thoughtful details from Sarah… always put yummy shampoo and conditioner in the guest bathroom. 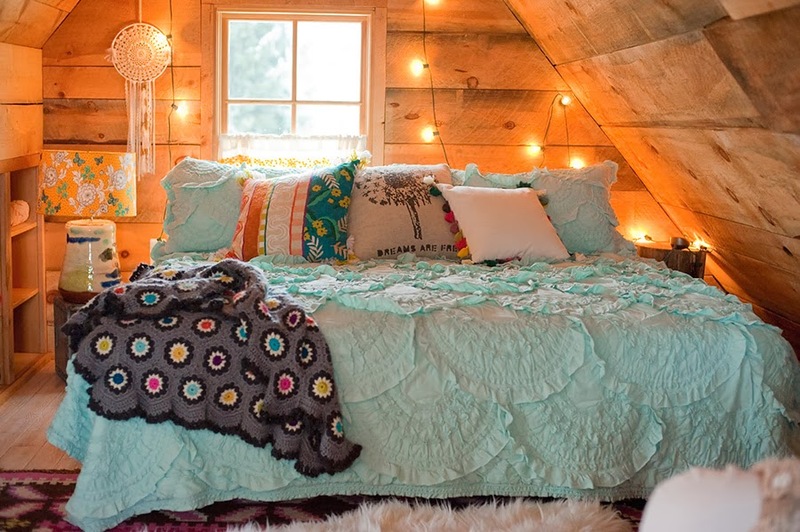 The sweet bedding is all from Anthropologie. But the incredible throw was handmade by Sarah’s mama. The personal, sentimental touches are always the most special. 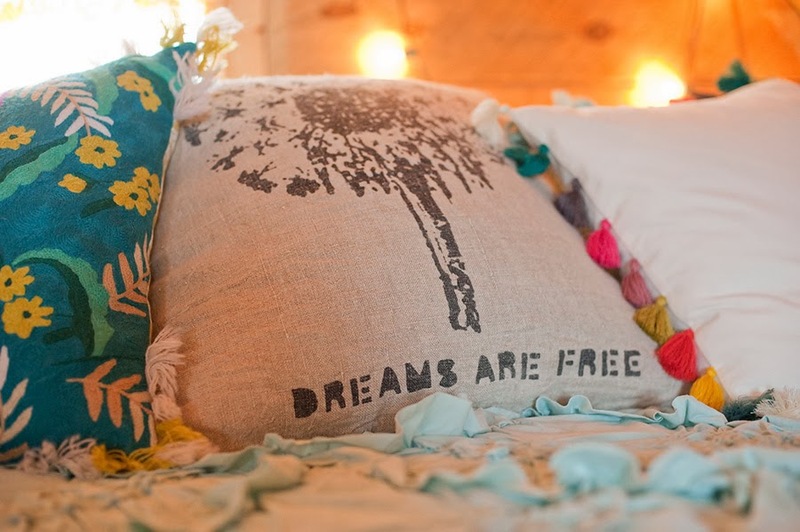 The pillows from Anthropologie and Sugarboo create the perfect place for someone to take a little afternoon snooze. 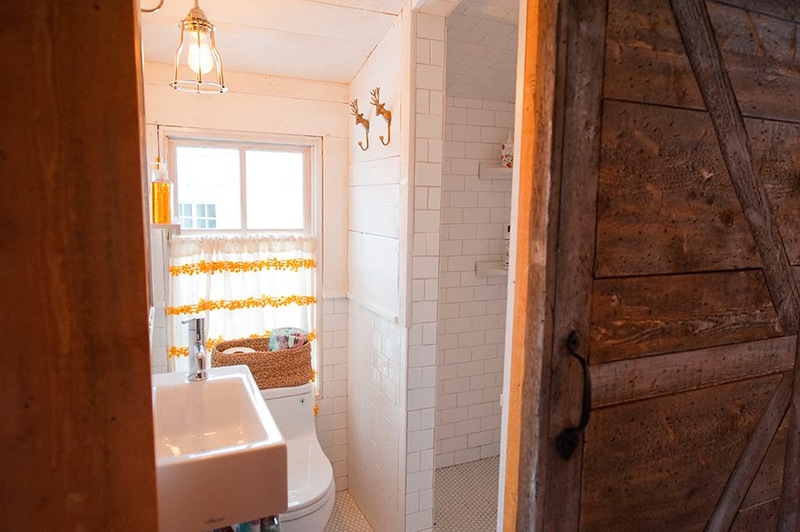 The mint paint color on the door was actually painted with chalk paint. So easy and amazing to work with! Sarah painted the door and then went back and rubbed the edges with a wet rag. The paint comes right off where you want it to. Then she sealed the door. I love chalk paint! 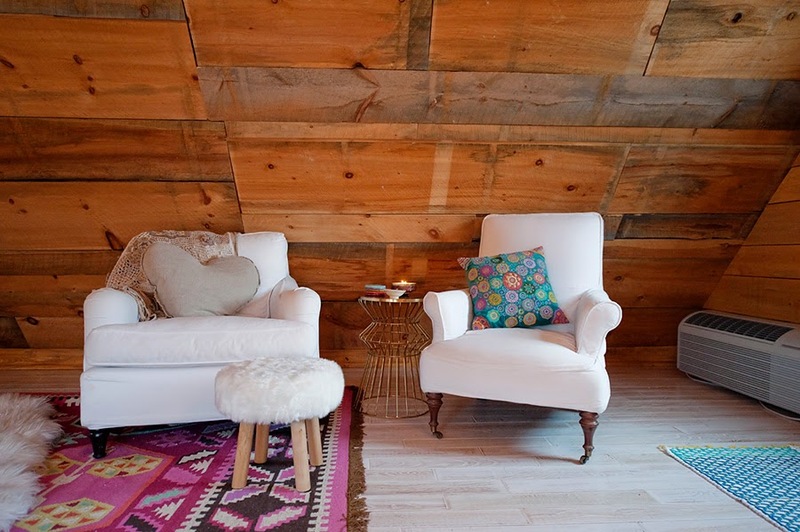 Sarah chose to leave the walls natural rather than stain or paint them. 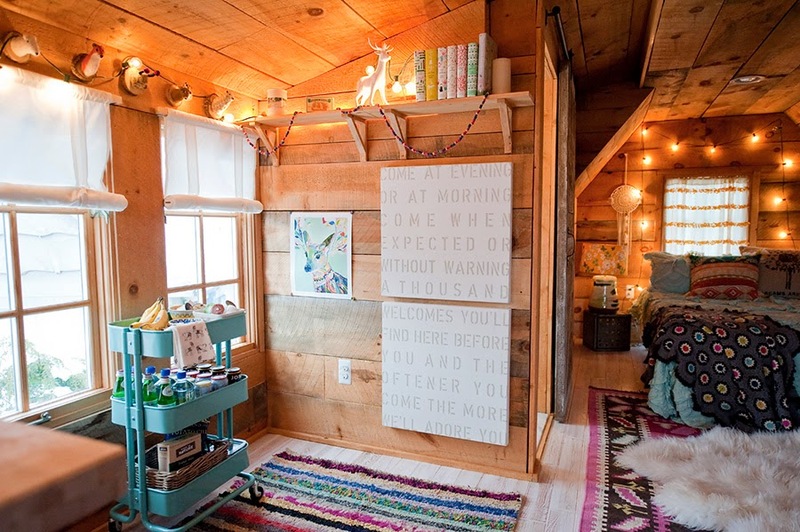 I think it makes the space incredibly cozy and it is just loaded with personality! 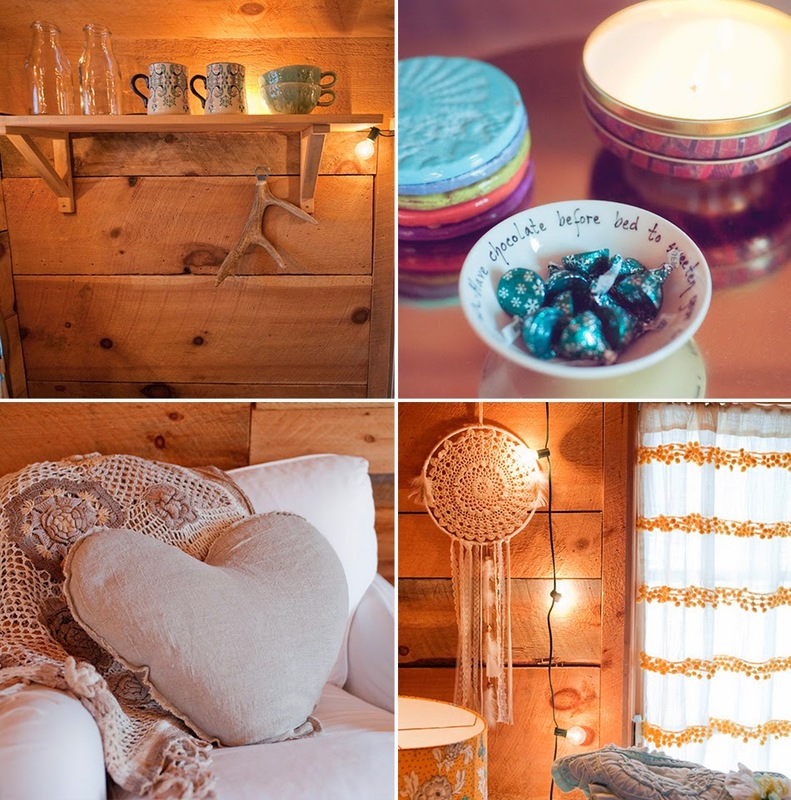 The mugs and the antler bottle opener are all from Anthropologie, and the precious heart pillow is from Sugarboo, of course. The throw and the curtain are also from Anthropologie. The dream catcher is from this Etsy shop. 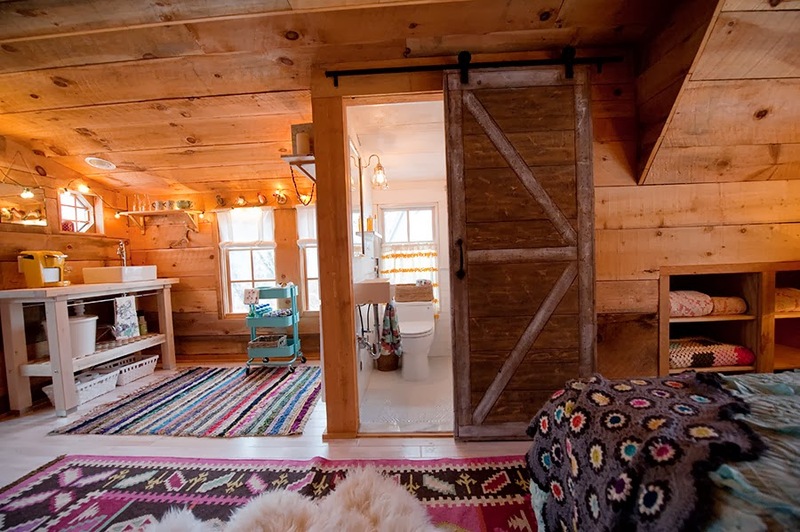 Sarah had a handy man make the barn door. She wanted something that didn’t swing and didn’t take up a lot of room. The solution is perfect and such a good use of space. And finally, a photo of the outside. Gosh, y’all. 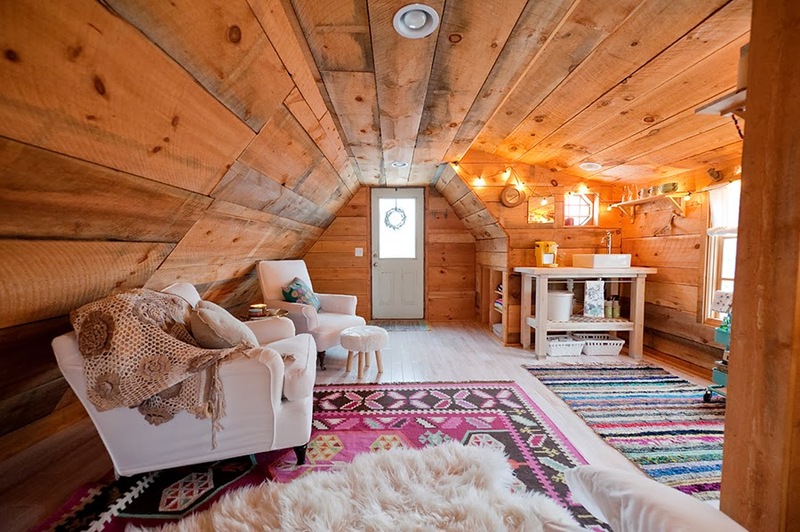 Doesn’t this just look like a storybook cottage? 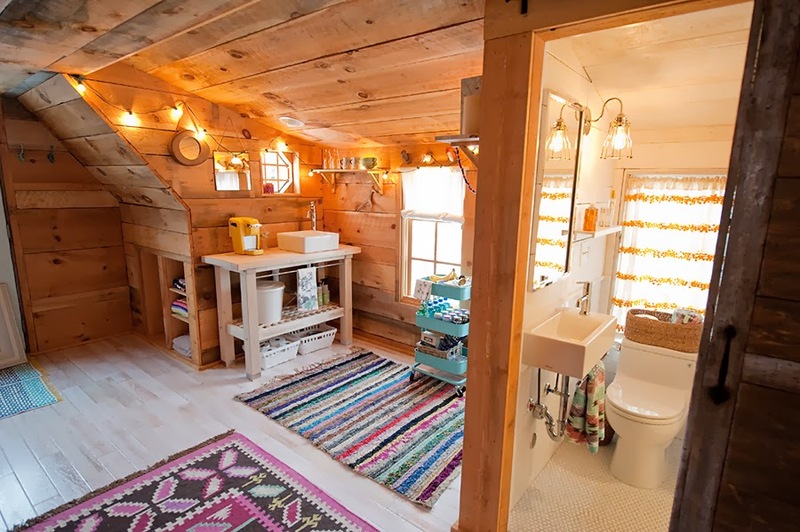 I am just in love with it and I want to go visit Sarah just so I can hang out in the carriage house. Sarah has promised to share photos in the spring when everything is green again, but I am in love with the snow. 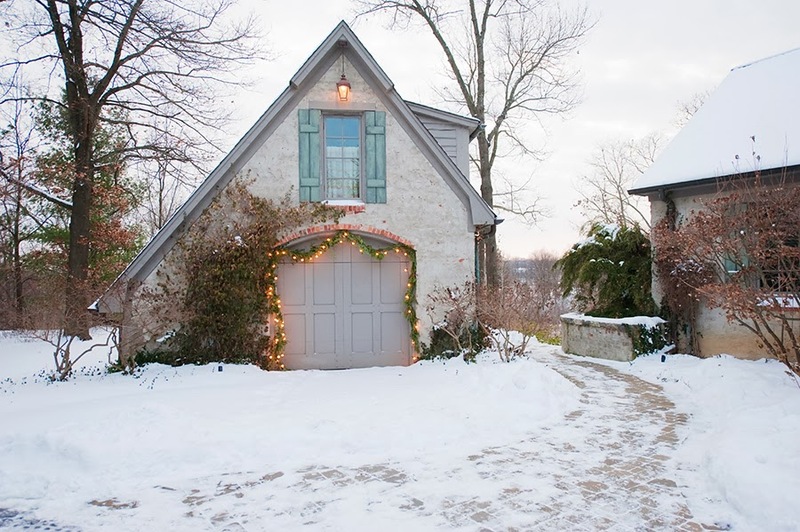 I hope you love Sarah’s carriage house tour as much as I do! I can’t wait to see more of her beautiful home that is full of personality and tells such a sweet story of her family.